Only post news if you are sure they are important. Don't bump up old news just because you liked them. The phone can do everything except FM radio. I don't know why they left that one out, but I guess I'll be fine without. The only means of connection missing is Infra, but who uses that today? I will post my first experiences with the phone on Tuesday. Last edited by 3ICE on Sat Feb 14, 2015 7:36 pm, edited 2 times in total. No sorry, my web space is limited to 1GB and I would rather not host videos here. They can fill 1GB pretty fast. There are ways of getting around those school firewalls. I recommend checking out google.com/ search?q= how to get around school firewalls it is the easiest method I know of. By the way isn't school for learning? This one was 200 days old! p.s. : I am an accident-magnet it seems. As you know I recently lost all my data on my SSD. Still getting over that... It died so mysteriously, and for no reason I can see... And now this; Just last week my brother sat on my phone (it was in my coat pocket, on a chair) and broke it. Totaled. The screen is thoroughly cracked, leaking black LCD fluid and the stain it leaves behind is growing day by day. A few days ago you could still barely see one or two dozen rows of pixels, but even that worked only if you pressed down near/on the screen real tight. Just enough for me to try and copy some of my files to the SD card because I mostly remember where everything was, and could use the phone somewhat blindly. Total Commander to the rescue. It's dying fast though. Today I can't see anything except the white backlight, the crack, and the gigantic black spot. It was a Windows Mobile 6 too, with a tilting touchscreen, a slide-out QWERTY hardware keyboard — awesome for blind typing, and even a stylus. They don't make or sell that kind of phone anymore. 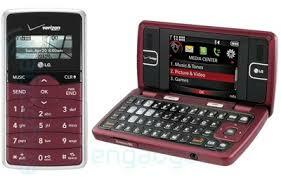 It had four names: HTC Kaiser / AT&T Tilt / HTC TyTN II / T-Mobile MDA Vario III. It was worth 250 000 HUF (929$), maybe even 300 000 HUF with my modifications. Lasted 5 years in perfect condition. Until its sudden and tragic end last week. Blew all my spare money on buying a new phone. Unfortunately it's not as good as my old phone was. It's a Lumia 930 for 150 000 HUF. Windows Mobile 6 was the last good version of Windows Phone. Version 8 and 8.1 of Windows are terrible for phones, might as well say -8 or -8.1 (negative.) Everything is on the tightest security lockdown Microsoft could come up with. No access to the file system or behind the scenes stuff. No fun to be had at all. My inner hacker is devastated. I can't even root it or hack around in the registry / Windows folder. Battery life is barely a day. Old phone was good for a week between charges IIRC. Anyway, enough complaining. This postscript is already longer than my actual email. I'll be just fine. I still have a windows phone. Two of them in fact. 950XL and 930 (Lumia) Daily drivers both. They still are. Zeiss PureView 20 MP, best camera on any smartphone for years. Only complaint: My on/off button fell off. Ducktaped it back.